Dogs require specific nutrition according to factors like their age, activity level and the overall state of health. For instance, when dogs are expectant or lactating, they need nutrition that will ensure that both the dog and her puppies receive the nutrition they require. Royal Canin puppy food is formulated to provide adequate and tasty nutrition for pups small, medium or large breeds and up to 12 months of age. Royal Canin offers puppy food for pooches that have certain individual sensitivities and for sensitivities that are common in a particular dog breed. Why order Royal Canin puppy food? There is a reason Royal Canin Puppy Food is a favourite brand for a man's best friend and pet owners. 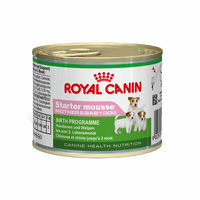 One is that each nutrient in Royal Canin dog food has a specific purpose. It contains lipids, proteins, carbohydrates, vitamins, and minerals. All the nutrients in Royal Canin puppy food are balanced perfectly because too much or too little can be detrimental to the health and wellness of your furry friend. 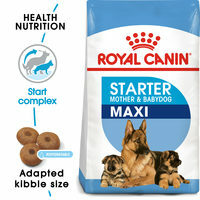 Puppies need particular nutrition to enable them to grow. They need to be fed up to four times a day in the weeks that follow once they have been weaned. Four meals is a general guideline but the ideal number of meals will depend on factors like a pet's specific age. Over time, the amount can be limited to three meals a day and then two meals a day at mid-growth. While getting the little one used to eating solid food, it is best to put the food in the same bowl at the same spot. There should be a water bowl with plenty of fresh water next to the food bowl. 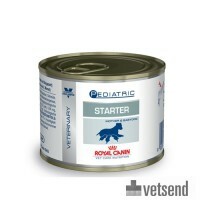 How much Royal Canin should I feed my puppy? The Royal Canin breed and Royal Canin Size guidelines are all about selecting the right feed for your four-legged friend based on their size and breed. These ranges offer an option of diets for a chihuahua, Labrador retriever, German shepherd, Yorkshire terrier, poodle, dachshund, and other breeds. The Royal Canin puppy food size guideline divides puppy food into options according to size. For instance, the needs of a chihuahua that weighs two pounds and one that weighs 10 pounds are different. Even pets of the same size but different breeds will have different dietary needs. Royal Canin knows this as no other and provides options for different breeds at different weights. 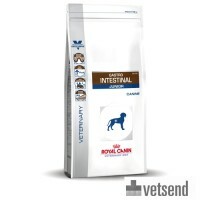 Another factor that you need to take into consideration for a happy and healthy pooch is the quantity of Royal Canin puppy food given each meal. It should be in line with the specific needs of your pet based on its breed or a puppy's target weight. Overfeeding can lead to excess weight gain which can go on to cause problems in joints and bones in large breeds. It is therefore important to follow the feeding guidelines indicated on the package and measure out each meal correctly. 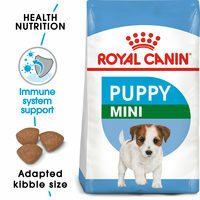 Switch to puppy food from Royal Canin and enjoy the benefits! As every good pet owner, you love to offer your four-legged friend the very best. This is a good reason to choose for Royal Canin's puppy food. If you are currently serving puppy food from a different brand, it is important to make a transition gradually rather than all at once. For instance, provide a serving of the new diet once a day and see if your pet accepts it. 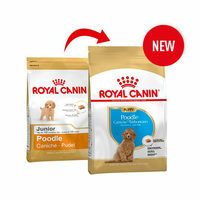 Royal Canin puppy food meets special needs such as: digestive sensitivities, joint problems, coat or skin problems, and weight gain tendencies (also known as obesity).